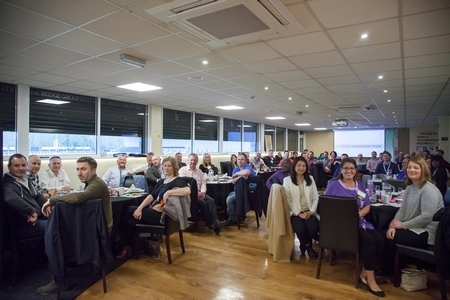 BNI Bromley | Where do BNI business networking group in Bromley meet? Our members meet once a week, 50 weeks of the year. Yes, that is quite a commitment! Each member treats BNI like their biggest client, as you never know just how big a job you could end up receiving as a result of BNI. Ask some of our members why they joined, they will probably tell you they wanted to retire sooner! We meet at 6.30am every Thursday, which is a fairly early start for some, but we take business seriously and want to be able to get back to our offices or to a job by start of play. The first part of the meeting is informal networking, where the members chat to each other about potential leads, business passed in the week and what we all want more of. The second part of the meeting is more structured and follows an agenda developed over 25 years by BNI and is proven to maximise on the business passed within each chapter. The philosophy of BNI is, “Givers Gain”. If I give you business, you will want to give me business. We finish promptly at 8.30am, and you can either shoot off to work, or stay and continue to network with members. We pride ourselves on being welcoming, supportive and engaging. Whilst we are all here to generate business, this can still be conducted in a positive environment and in a manner that is enjoyable for all.